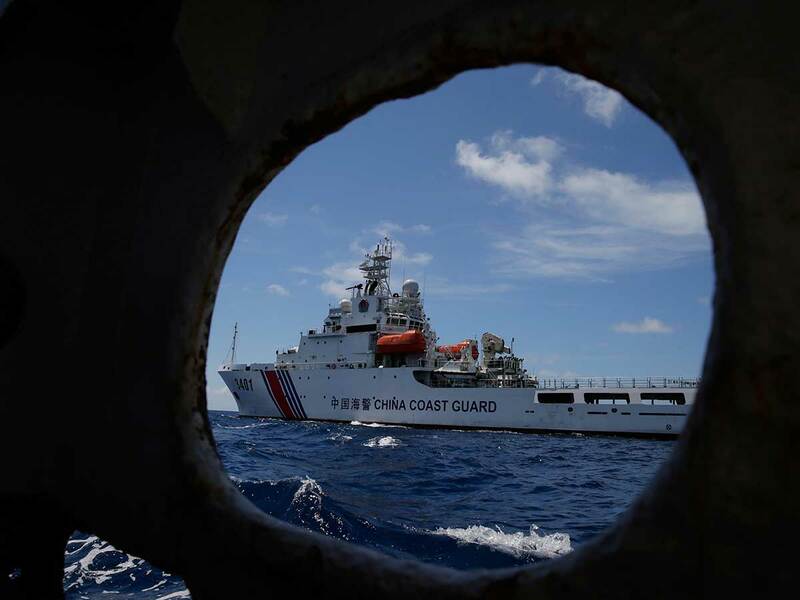 Manila: The Philippines on Thursday branded as "illegal" the recent presence of hundreds of Chinese ships near a disputed island in the South China Sea - a rare public rebuke of Beijing by Manila, which has backed off their once tense territorial standoff. Control over the South China Sea is a point of regional contention because trillions of dollars of goods pass through it, and rich petroleum reserves are thought to sit deep beneath its waters. Under President Rodrigo Duterte, however, Manila has largely set aside its previously confrontational stance on China's claims in favour of seeking trade and investment from Beijing. "The presence of Chinese vessels near and around Pag-asa (island)... is illegal," the Department of Foreign Affairs (DFA) said in a statement. "Such actions are a clear violation of Philippine sovereignty," it added. The DFA statement said the "swarming tactics" raised questions about the ships' intent, which critics have speculated is an effort to pressure the Philippines over infrastructure work it is doing there. "Such actions, when not repudiated by the Chinese government, are deemed to have been adopted by it," the statement added. Chinese foreign ministry spokesman Geng Shuang told journalists Manila and Beijing met on Wednesday and "exchanged views frankly, amicably and constructively" on the issue. "They (both sides) also reiterated that they would continue to cooperate and discuss measures to promote trust," he said. China, the Philippines, Brunei, Malaysia, Taiwan and Vietnam have all staked claims to various islands and reefs as well as waterways in the sea. Duterte's spokesman Salvador Panelo said on Monday the Philippines had filed a diplomatic protest over the presence of the ships. But in a speech a day later, the president said China "just wants to be friends with us." The US has aimed to shore up its relationship with its long-time ally the Philippines. During a visit to Manila in March, US Secretary of State Mike Pompeo vowed to defend the Philippines from "armed attack" in the South China Sea, a pledge Philippine leaders had long sought.